Researchers have patented promising new robotics technology created through the Purdue Office of Technology Commercialization, and outlined in ‘3D Architected Soft Machines with Topologically Encoded Motion.’ Authors Debkalpa Goswami, Shuai Liu, Aniket Pal, Lucas G. Silva, and Ramses V. Martinez have developed robotic devices that can be 3D printed and customized by users, depending on their needs. This technology may both surprise and fascinate users, who in the past have expected robots to make things for them—but they may not have expected to be the ones creating the robots from home or the workshop. A 3D printed robot, while not completely able to protect users, can at least communicate with them, ask basic questions, and sense movement such as a fall, acting as a more complex panic button in these cases. “Unfortunately, the external hard structure of current caregiving robots prevents them from a safe human-robot interaction, limiting their assistance to mere social interaction and not physical interaction,” said Ramses Martinez, assistant professor at the School of Industrial Engineering and in the Weldon School of Biomedical Engineering in Purdue’s College of Engineering. “After all, would you leave babies or physically or cognitively impaired old people in the hands of a robot? Users can create their own CAD files, shaping the robot, and then designating what types of movements it will make. The researchers have created a customized algorithm that converts the data into a 3D architected soft machine (ASM). And indeed, this opens a brave new world to users everywhere as they can print the robots on virtually any 3D printer. The fabricated ASMs can mimic human locomotion, operated with tiny motors that rely on nylon to pull the limbs back and forth. The researchers state that these customized robots and their soft materials can be stretched to beyond 900 percent of their initial length. While users can 3D print customized robotics, the actual forms created move in the realm of the 4D, responding and morphing with their own environment. The researchers state that they can perform a wide range of motion, depending on need. You don’t have to be an engineer or a techno-geek to understand that today (which used to be that distant, faraway future) has not yielded the type of progress we expected from robotics. And while we are not being served and accompanied 24/7 by charismatic androids, significant and interesting developments have certainly been achieved—from 3D printed robots that pick up trash for us, to construction robots—and even swarms of robots doing the 3D printing work for us. The picture may be different from what we imagined, but in the end—far more spectacular. Find out more about the recent research in soft robotics here, serving as part of the university’s Giant Leaps celebration in connection with their 150th anniversary. The creative aspect of 3D printing is one important part of potential intellectual property rights, but in relation to legalities, there are serious liabilities that could be connected to defects in bioprinting. Ammar leads us through the process of bioprinting, from CAD software design to CAD designs to scanning of organs, and the eventual bioprinting of such complex tissue. While there are still so many challenges to overcome before actual organs are created and implanted in humans, worrying about the legalities may seem like jumping the gun; but Ammar does bring up important issues regarding the ‘what ifs’ surrounding software or a design that could be defective. The products v. services topic relates to whether computer software can be the subject of a product liability case. While courts may have not been ready to extend liability to software, Ammar reminds us that manufacturers can still be considered liable. He goes on to define OED’s as Organ Equivalent Devices which is a nifty term that does indeed remind us of the stakes. “Product liability is a critical policy issue in the field of 3D bioprinting. It is necessary to reconsider the premise that software developers, especially in a healthcare setting, are not intrinsically subject to strict liability rules in relation to the software they provide,” states Ammar. He also points out that the ‘extensive immunity’ afforded to the 3D printing set is not appropriate, considering the content and the potential for harm to medical patients. Liability could potentially fall on medical professionals using CAD files, and developers of the files who write CAD programs but do not use personally use them. While bioprinting may not be ‘addressed’ by the FDA, obviously items that could be placed into the human body must be deemed completely safe by someone. Approval may be hard to give when bioprinted tissue has barely been categorized. Transplants are overseen by the Health Resources Services Administration (HRSA), but because OEDs are not yet specifically classified, regulations cannot be solidified. Ammar asks how CAD users should then be viewed; after all, they are involved in the bioprinting process. Detecting and defining defects is another huge issue. Who is responsible for said defect follows that question, along with the reminder that hospitals are historically not in the business of distributing ‘products,’ so who is liable when things go terribly wrong for the patient with a bioprinted implant? Ammar points out that the hospital medical personnel are most likely going to be responsible for performing the bioprinting. While 3D printing is a disruptive technology, legal disruptions may not be what technological revolutionaries had in mind. “Effective 3D OED bioprinting offers the promise of bridging the current shortage of donor organs, thus enhancing patient quality of care. Creating a streamlined approach to assessing the requirements of effective, reliable, and high-quality CAD software is an important first step,” says Ammar, who proposes a new approach for handling defective CAD software—by allowing consumers to launch tort action against CAD developers. Legal concerns related to 3D printing have not only advanced, but they have expanded immensely in the past few years. While copyrights are an enormous concern—and have caused trouble major headaches for some users--legal implications are coming to the forefront more often. On the flip side, 3D printing is often used to help in legal situations, with 3D printed models even used in murder trials. Learn more about emerging legal details and liability in bioprinting here. What do you think of this news? Let us know your thoughts! Join the discussion of this and other 3D printing topics at 3DPrintBoard.com. Industry analyst firm SmarTech has launched a market survey of the metal additive manufacturing supplier market in advance of its May release of its industry-leading report on metal powder-based additive manufacturing. The purpose of the survey is to add background information to the firm’s reporting and analysis as well as provide basis for content that will be made available to readers. The survey is broken out into four segments to account for the issues particular to materials, machines, software and service bureaus. The questions for each survey take approximately 10 minutes to complete depending on the depth the respondents which to offer. All respondents will receive a formatted and cleaned version of the data output. SmarTech’s report on metal additive manufacturing with metal powders is the industry standard for research reports of this nature. Packed with forecasts and analytical insights the report is purchased by a who’s who of industry leaders, contenders and up and coming firms. 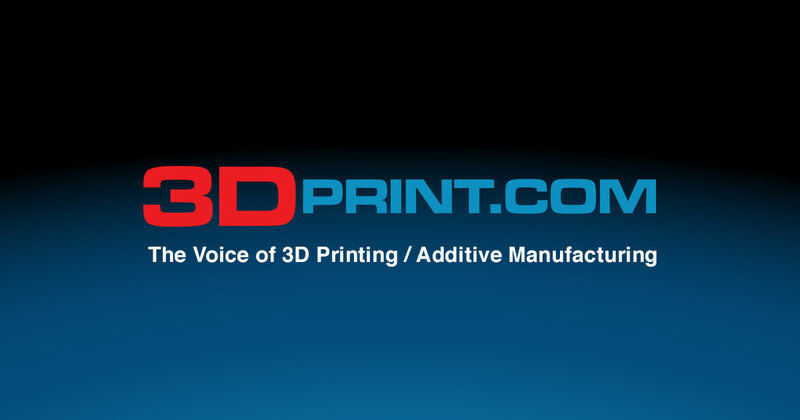 3DPrint.com is an equity holder in SmarTech. Teaching how science, technology, engineering, art, and math work together cohesively is a difficult task, and in an ever-changing technological landscape, getting kids involved in STEAM activities can be daunting. Helping children discover the fun of STEAM is one of the main tenants behind SOLIDWORKS Apps for Kids. SOLIDWORKS Apps for Kids is an ecosystem of apps that makes the engineering process accessible to kids as young as four. Educators, students, and kids across the world have embraced Apps for Kids. Educators especially have been using the Classroom interface to create curriculum and shape the next generation of designers, makers, and 3D printing enthusiasts. “SOLIDWORKS Apps for Kids is just an awesome program,” said Jackie Tan, Maker Lab teacher at South Tahoe Middle School in South Lake Tahoe, CA. “I see a great opportunity to get every kid I see this year in the Maker Lab to make their first 3D print.” After discovering SOLIDWORKS Apps for Kids at the Maker Faire in San Mateo, CA, Jackie contacted SOLIDWORKS and became one of the first educators to put Classroom into practice. Today, she’s had over 300 students model and 3D print their own designs. Jackie also started up a group called the 3D Tech Squad at her middle school, made up of students from all grade levels, who help support and maintain the Maker Carts Jackie installed around the school. Jackie has worked out a plan that incorporates Apps for Kids and 3D printing with all subjects, and the mobile 3D printers on the Maker Carts make her plan possible. “In social studies, students will be modeling artifacts they learned about in class. In language arts, they’ll be modeling characters or other artifacts from stories they read. In math, they’ll be modeling manipulatives and games, and in science, they’ll be modeling the things they use in experiments,” she said. Students and teachers at South Tahoe Middle School are learning how to use SOLIDWORKS Apps for Kids and the 3D printers, transforming them into a community of makers. Michael Steeves of Seattle, WA, is also using SOLIDWORKS Apps for Kids. After becoming aware of an afterschool enrichment program at his daughter’s elementary school, he started the school’s only CAD and 3D printing class. Michael uses SOLDIWORKS Apps for Kids Classroom to organize his students and protect their privacy, and he’s managed to incorporate almost every app into his curriculum. He uses the Capture It app to introduce the day’s topic to the kids, teach them how to create collages, and get them invested in class. Then he will take a concept—for example, the real world bridges that dot the Seattle city-scape and the bridge tool in Apps for Kids—and demonstrate how to create a model in Shape It. Then he will excite his students with a challenge: “Who thinks they can do better? Show me with the tools we’ve learned.” The students create their own models, style them in the Style It app, and Michael 3D prints their models with the Print It app. “As soon as the models are 3D printed and the kids can hold them in their hands, it becomes real for them,” he said. “When I show up at the class, I log into SOLIDWORKS Apps for Kids and I have everything I need to have a successful class,” Michael said, echoing Jackie Tan’s own assessment of the software. Both of these educators have received incredible feedback from students, fellow educators, and parents. SOLIDWORKS Apps for Kids is facilitating the growth of their STEAM programs, and they encourage other parents and educators to do the same. SOLIDWORKS Apps for Kids is a fun, free resource that can assist teachers who want to make a difference, and helps kids learn to love and appreciate STEAM concepts. Learn more and discover SOLIDWORKS Apps for Kids today. Many users and larger industrial businesses today are turning to 3D printing over conventional techniques due to substantial benefits suitable for a wide range of applications, including optics. In ‘Imaging-quality 3D-printed centimeter-scale lens,’ authors Bisrat G. Assefa, Markku Pekkarinen, Henri Paranen, Joris Biskop, Jari Turunen, and Jyrki Saarinen explore more efficient processes for producing prototypes and small volumes of polymer optics with 3D printing. Falling in line with much that 3D design and 3D printing have to offer users on nearly every level, polymer optics require manufacturing that entails affordability, and the ability to produce compact, lightweight parts. Injection molding has been a common method of production but can also be limiting and time consuming. Here, the researchers are using Luxexcel-Printoptical Technology, a form of rapid ink-jet 3D printing to create macroscopic optics related to non-imaging. The center of their study is an imaging lens produced via 3D printing with centimeter-scale diameter, and the ability to perform like a conventional, commercial glass lens. Three printheads are used in the 3D printing process, and the authors explain that each one is misaligned to triple the resolution, depositing 17 µm diameter droplets of liquid polymer on the substrate. UV light is used to cure each layer, and no post-processing is required. “The improvements reported here result, on one hand, from process improvements gained by better understanding and control of the intricate fluid chemistry. On the other hand, we introduce an iterative manufacturing technique to correct surface shape errors by testing the 3D printed element against a reference element with a reasonably similar optical function,” state the researchers, while also explaining that further evaluation also provides data regarding output-wavefront error at subwavelength accuracy—with refinements made until wavefront error is acceptable. area (60 µm × 50 µm). (b) Cross-sectional surface profile at the center in nanometer scale. Writing time of one 4.1 µm thick polymer layer (with an area of 6 × 7 cm2) is only 4 seconds. Eight lenses can be printed per hour. In evaluating and comparing the 3D printed lens with its commercially-manufactured counterparts, they found that although the commercial lens did offer ‘somewhat superior performance,’ this could be resolved with further refinement of the process. They also explained that 3D printing of the lenses is currently somewhat limited because there is only one polymer material available, LUX-Opticlear, and it is not suitable for fabrication of an achromatic lens system. before iteration. (c) Surface deviation after five iterations. Along with other elements involving energy that are deemed to be a requirement for daily life, humans spend an inordinate amount of time controlling light and a wide range of surrounding mechanisms. We use technology, from the most basic to complex to harness light, and with 3D printing, users, designers, engineers, and researchers have been able to create microstructures for optics, embed geometrics, and even bend light. Find out more about how 3D printing can affect lighting applications here. What do you think of this news? Let us know your thoughts! Join the discussion of this and other 3D printing topics at 3DPrintBoard.com. We’re starting out with some business news today, and then moving on to education, before highlighting a heartwarming story with a 3D printing element. First, CRP Technology is adding a new Windform material to its range, while the Lighting Research Center has established a consortium for 3D printed lighting. Moving on, Wohlers, Airbus, and ZAL will soon conduct a DfAM course together. Finally, a Reddit user made a wheelchair – with some 3D printed parts – for a friend’s dog. Italian company CRP Technology, part of the larger CRP Group, is well-known for its Windform polyamide composite materials. Now, it’s launched a new line in the professional 3D printing materials family: Windform P-LINE, for high-speed, production-grade 3D printing with HSS (High Speed Sintering). The first PA material in the line is Windform P1, which has excellent mechanical properties and potential for use in the automotive, consumer, electrical, and household goods industries. Windform P1 parts can have isotropic qualities, with flexibility, full density, and engineered for rapid, high volume production of small end-use parts at lower cost and high surface resolution. CRP Technology’s VP and CTO Franco Cevolini said, “P stands for Production. We created this new range of materials for High Speed Sintering, the new 3D printing process we integrated in-house: Windform ® P-LINE materials combined with HSS technology, allows for the manufacturing of small 3D printed production components. 3D printing of an LED lighting fixture prototype at the Lighting Research Center laboratory in Troy, New York. The leading center for lighting research and education, the Lighting Research Center (LRC) at Rensselaer Polytechnic Institute (RPI) in New York, has decided to build upon the progress it made during a recent 3D printing workshop and recently established the Additive Manufacturing for Lighting Consortium in order to continue exploring the use of AM for lighting. The consortium, which had its first meeting earlier this month, is made up of lighting, material, and 3D printer manufacturers, and is working to build up collaboration in the lighting industry so it can adopt additive manufacturing for the fabrication of high-quality products. Objectives for the consortium’s first year include education, collaboration on pilot research projects, and market assessment. so that the group can really understand what both industries need, in addition to determining the present status and future possibilities of the AM industry’s capabilities in regards to the lighting industry. In the long term, the consortium hopes to build a center of excellence for solutions and best practices when it comes to 3D printing lighting systems. In cooperation with both Airbus and the ZAL Center of Applied Aeronautical Research, Colorado-based Wohlers Associates is taking its course on design for additive manufacturing (DfAM) to Hamburg this summer. The company has named DfAM as one of the main barriers for companies looking to adopt 3D printing, and the course, hosted by ZAL and led by Wohlers Associates’ instructor and DfAM expert Dr. Olaf Diegel, will cover such topics as using topology optimization to consolidate many parts into one, how to minimize post-processing by reducing the use of costly support material, and will also include DfAM and best practices guidelines. Participants will be able to get hands-on experience designing and 3D printing industrial parts, in addition to taking a tour of the ZAL TechCenter. “We are excited to be the first to host this course in Germany. Wohlers Associates represents a reputation and caliber that is among the highest in AM and DfAM. We expect the response from German companies to be substantial,” said Dr. Thorsten Scharowsky, Senior Development Manager of Additive Manufacturing at ZAL. The course will take place June 13-14th. For more details, visit the Wohlers Associates website. Reddit user LuciferLOL666 wins for this month’s most heartwarming 3D printing story. He wanted to help his friend’s disabled dog and decided to make it a little wheelchair. While some of the parts for the wheelchair were 3D printed on his Fortus 900 FDM 3D printer, it only cost him $20 on Amazon to purchase the rest. He posted an adorable video to Reddit showing the dog’s “priceless” reaction to his new wheelchair, and then went a step further – he offered to 3D print the parts free of charge, and provide wheelchair assembly instructions, for any interested Reddit users who also had disabled dogs. LuciferLOL666 only expected “like maybe a dozen or so people” to see his offer, but it turned out to be a whole lot more than that, ending up on the front page of the site! He originally told people who offered to help him to instead “please take a bag of food to your local shelter” or help a stray or loose pet if it’s wandering around. While I’m sure this still stands, the post began spreading like wildfire and he ended up having to seek 3D printing assistance. Although it might take years before 3D bioprinting takes center stage in medicine everywhere, the companies behind the technology are certainly giving it the momentum it needs, partnering with university labs and research facilities at some of the biggest firms on the globe. One of the big players trying to break the boundaries of bioengineering is Allevi, leading the way with their easy-to-use and cost-efficient bioprinters and one-of-a-kind software. But it’s not just about the mechanics of bioprinting for Ricky Solorzano, founder and CEO of Allevi: it’s all about the cells. “The hardest part about bioprinting are the cells, but most of the users of our bioprinters already understand them and know that these living organisms are smart and can recognize and react to all the forces surrounding them. We make our printers for the researcher, the scientist who has been working with cells in the lab for a long time, and for them it is a very easy experience. Part of what we know and what we try to convey with our machines, is how to keep the cells alive during the printing process and what materials can help with this,” Solorzano told 3DPrint.com. The goal at Allevi is to make “really awesome platforms”, and so they do a lot of work to make the experience of designing, executing and printing biomaterials and bioinks as easy and as powerful as possible. According to Solorzano, an engineer with years of lab experience at the University of Pennsylvania, the best applications for this technology “probably lie in both the bone and cancer space,” although nothing has materialized just yet, while the money to be made today is in tissue modelling for drug screening. With a family of printers ranging from $10,000 to $100,000, the company, founded four years ago, is certainly represented in the competitive bioprinting market. What differentiates the more pricey printers is the number of heads, which correlates to the complexity of the tissue that can be created, including the number of cell types researchers can design with it and how fast they can create them. Allevi’s line of bioprinters serves the research community at a variety of universities as well as pharmaceutical companies, including Johnson & Johnson, Abbvie, GSK, MIT, Stanford and the University of Sheffield. The Philadelphia-based firm is looking forth into 3D bioprinting custom replacement valves from your own heart cells to eventually reduce the rate of failure and rejection in heart transplants. Scientists at George Washington University have been using the printer to bioprint heart tissue. While a team at UC San Diego has bioprinted a section of spinal cord that can be custom-fit into a patient’s injury, and researchers at Brigham and Women’s Hospital & The University of Nebraska Lincoln collaborated using an Allevi 2 bioprinter to find a solution to better surgically connect blood vessels. In 2017, Northwestern University developed a form of 3D printed hyperelastic bone that not only encourages bone regrowth within the body, but actually grows with it. More recently, Allevi has been focusing on building software that makes printing very easy for its users. The real cost in 3D printing biological models is not just materials or printers, but also the software used to translate the scans into files for the printer. There is a lot of complexity that goes into 3D bioprinting, like the design, the materials selected, the temperature needed or even the pressure, are all variables that the researcher needs to think about. But Solorzano and Allevi take that complexity and mask it behind simplicity by adding standardization to its software. Standardization might just be what bioprinting is looking for, according to Solorzano. Training middle school and high school students in bioprinting technology is a good way to pave the way into the future, which is why the company created the Allevi Academy, a curriculum for high schools interested in teaching bioprinting to students, which begins with a crash course in bioinks and different strategies for bioprinting, like making small blood vessels in a gel. Since 2018, Allevi has been working with California-based 3D printing and space technology firm Made in Space, which is responsible for introducing 3D printing to the International Space Station (ISS) four years ago, to develop the Allevi ZeroG – the first 3D bioprinter in space. This is a project that Solorzano finds very exiting, especially because it is a gateway to understanding how microgravity has an effect on biology and the different tissues that make up the human body. Allevi developed a compatible extruder, fittingly called the ZeroG bio-extruder, that is able to be outfitted onto Made In Space’s Additive Manufacturing Facility currently on board the ISS. This new bio-extruder will make it possible for scientists using the Allevi 3D bioprinting platform to run experiments in space, and back home on Earth, at the same time, in order to observe and study any biological differences that happen when 3D printing with gravity and without it. “Bioprinting on the space station will help us understand various different scientific questions, such as, how does a heart or bones react to microgravity over long periods of time, or how would space change the human biologoy over long time spans. These are all valid questions, especially if we start thinking about sending astronauts to the moon or Mars, which means they will be out of Earth for a year and a half. If we could only test how tissues will behave during that time in space before humans actually take the trip, would surely help us understand the biological processes of our bodies in microgravity. But all these questions become more realistic if we have more tools for biology in space, which is why we want to provide affordable and easy to use printers to test bioprinting in the ISS,” Solorzano concluded. Having this technology paves the way into a transformative future where cells become the protagonists, not only on Earth, but also in space. It is through this living, smart organisms that bioprinting is allowing researchers to create functional tissues out of human cells, and predicting how they will behave in a lab, this is without a doubt the future of medicine, and Allevi is creating the means to make it possible. Making bioprinting simpler will provide new avenues that were not thought of before where 3D printing can become a very unique and valuable tool that could in the future save lives. Berlin Packaging,a global leader in packaging solutions for food and beverage, home care, healthcare, and pharmaceuticals is developing innovative designs at Studio 111. The Chicago based Studio 111 is a Berlin Packaging subsidiary that offers designs and prototyping services for packaging. Their prototypes let businesses quickly view and make decisions on various packaging choices. In turn, this method allows customers to see mistakes with packaging early on, which helps businesses avoid errors in order to make the right choices. Through moving from sketching on paper to 3D prototyping customers can now make more informed decisions by holding the actual prototype in their hands. Studio 111 needed a very close likeness to the final product. At the same time speed was of the essence and costs had to be manageable as well. Studio 111 selected EnvisionTEC’s 3SP technology due to the many materials available which enable the company to mimic many materials and finishes. Especially exciting for them is EnvisionTEC’s E-Glass 3D print material, which lets Studio 111 quickly and relatively inexpensively get the look and feel of glass in their prototypes. “We do a lot of things in glass, we do a lot of high end spirits these days and an E-Glass clear model looks so much more exciting,” said Director of Engineering Martin Rathgeber. Compared to traditional technologies such as milling and CNC, 3D printing with EnvisionTEC is saving Studio 111 time. The team deploys both an EnvisionTEC Perfactory XXL and Xtreme3SP which gives them the flexibility to run multiple jobs and multiple materials at the same time. For a list of all of the materials that Studio 111 has access to – look here. Both machines have high reliability and can run throughout the night outside of office hours. Studio 111 can provide its customers with a wide selection of material choices due to EnvisionTEC’s enormous range of finishes and materials. Sample parts can be created relatively inexpensively and quickly in many iterations. These various iterations can all be given to customers for feedback, so they can go to production with the perfect packaging solution that fit their needs. Interested in learning more about how Studio 111 uses EnvisionTEC for prototyping? Check here. Hello everyone we really hope that you enjoy a new episode of the 3DPod. Maxwell Bogue and I had a lot of fun making this episode. In this 3DPod we talk about 3D printing in medicine. What impact is it making? What is happening in hospitals? What is happening in the developing world? We talk about implants, braces, personalized medicine, polymers and metals. We talk about DIY medicine and groups of people making their own medical devices and lots more. We really hope you enjoy this episode. As always do give us feedback and suggestions. You can find all of the podcasts including direct download, Spotify and Apple here. and incorporate 3D printing into its own business practices at a larger scale. Binder jetting involves moving a print head across a bed of powder, while at the same time selectively depositing a liquid agent in the desired shape into the powder. This binds the two areas together so that a solid part forms a layer at a time. This method of 3D printing can print parts 60 to 100 times faster than processes that are laser-based, depending on how complex the final product is. This strategic investment – part of Cummins’ implementation of Industry 4.0 – is the next logical step to make in revolutionizing its manufacturing processes. “By investing in 3D metal additive technologies from GE Additive, we are investing in Cummins and our customers. This technology has the potential to provide our customers with a quicker, lower-cost production method that ultimately uses less energy, which means we can better serve our customers and reduce our environmental impact,” said Tim Millwood, Vice President of Global Manufacturing at Cummins Inc.
Functioning beta binder jet machine. GE Additive has been working hard to rapidly scale its binder jet technology over the last few years. Its complete, industrialized factory solution should be commercially available in the early part of 2021. “In early 2019, we launched the beta testing and partner program and deliberately sought out partners and key customers, like Cummins, who are committed to mass production. As Cummins celebrates its 100th year, it remains steadfast in its commitment to being at the cutting edge of innovation. Above all, we want to partner with companies whose businesses and customers will benefit tremendously from binder jet technologies,” said Jake Brunsberg, Binder Jet Product Line Leader. Teams from Cummins will be co-located at GE Additive’s Cincinnati lab in order to work together on technology development. Later this year, the 3D printers will be relocated to one of the company’s own facilities. This investment will definitely help speed up its course toward scaled additive manufacturing production.